Getty/Michael KovacSnap CEO Evan Spiegel. The trade war escalates. The second tranche of President Donald Trump’s tariffs on Chinese goods is set to take effect August 23, hitting $US16 billion worth of imports. Elon Musk wants to remove Tesla from the stock market. “Am considering taking Tesla private at $US420. Funding secured,” the CEO tweeted before issuing a formal statement on the company’s website. Saudi Arabia’s sovereign wealth fund reportedly amassed a $US2 billion stake in Tesla.According to the Financial Times, Saudi Arabia’s Public Investment Fund now owns 3% to 5% of Tesla’s outstanding stock. 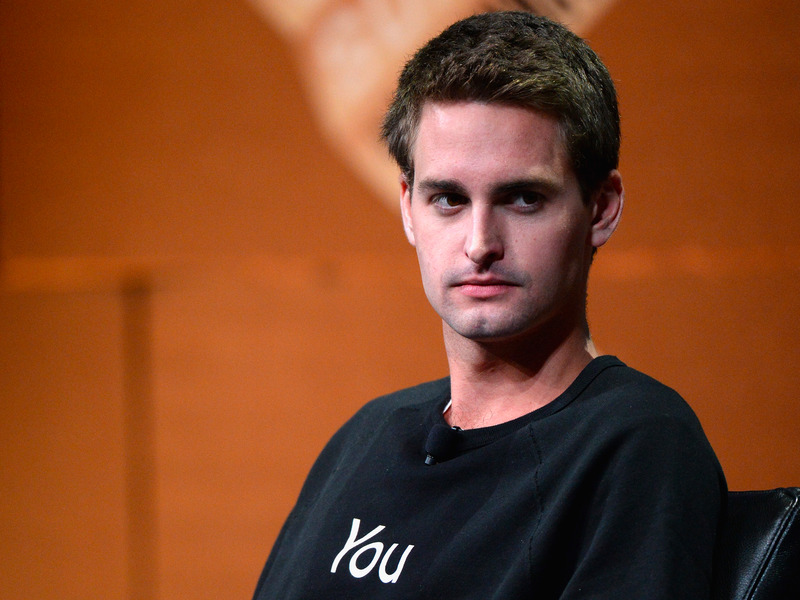 Snap beat on Q2 earnings but reported its first drop in daily active users. The stock initially soared by as much as 13% in after-hours trading before giving back the gains. Disney earnings miss. Second-quarter profit was weaker than expected because of higher programming costs and a drop in ESPN subscribers. Mutual funds are bleeding cash at an unprecedented rate, and they’re increasingly vulnerable to a meltdown.According to Moody’s, investors have pulled cash from actively managed equity mutual funds in the US at the fastest year-to-date pace on record. One in two initial coin offerings failed in the 2nd quarter – and those that succeeded suffered huge losses. The average return for ICO tokens in the quarter was -55%, compared with a gain of nearly 50% in the first quarter. Salesforce just promoted its top salesman to the title of co-CEO. Keith Block, formerly the chief operating officer, will lead with longtime CEO Marc Benioff and report directly to Salesforce’s board of directors. More earnings are on tap. Yelp, 21st Century Fox, Monster Beverage, and the travel-fare aggregator Booking Holdings report after the closing bell. US equity futures are slightly higher. The 10-year yield is up by less than 1 basis point at 2.975%.